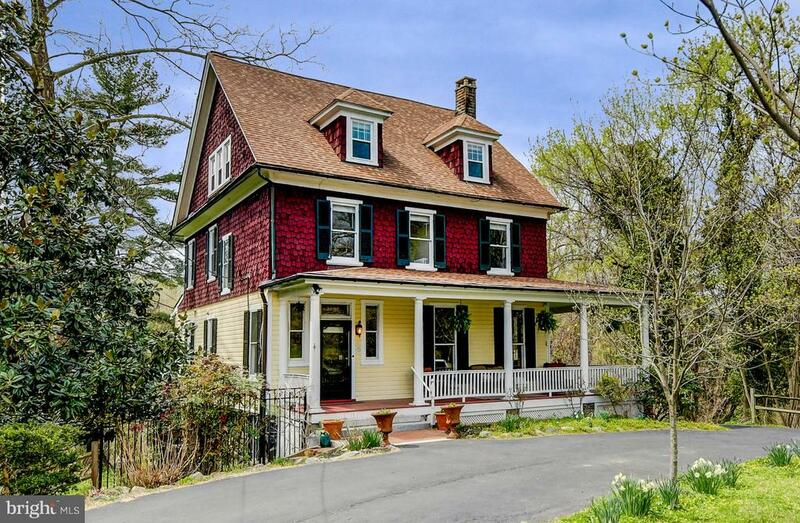 All Ellicott City homes currently listed for sale in Ellicott City as of 04/23/2019 are shown below. You can change the search criteria at any time by pressing the 'Change Search' button below. If you have any questions or you would like more information about any Ellicott City homes for sale or other Ellicott City real estate, please contact us and one of our knowledgeable Ellicott City REALTORS® would be pleased to assist you. "Opulent custom built manor offers distinctive features throughout. Cobblestone lined drive leads to center courtyard with an underground lighted fountain. Dramatic foyer with travertine floors, solid Alabaster light fixtures, and a winding staircase. Impressive intricate details throughout; Italian hand-carved marble fireplaces, custom painted walls with gold leaf, and artisan woodwork. Radiant floor heating on main level. Billiard room with built in bar, wet bar, and fine art lamp fixtures. Kitchen with ALL stainless Viking appliances with gold touches, 2 dishwashers, convection wall oven with warming drawer, 6 burner gas range, and wine refrigerator. Breakfast room with vaulted ceiling, and palladian window offering views of lush backyard. Butler's pantry with Fisher Paykel double dishwasher, granite topped wet bar area, and built-in ice maker. Great Room with 17' double tray ceiling & WBFP. Owner's suite with hand carved marble fireplace imported from Italy, custom painted tray ceiling, dual WICs and attached bath with heated floors, Carrara marble-topped vanities with custom sinks & fixtures, Palladian window, deep shower with dual shower heads & body jets. Lower Level with theater, custom bar, gym, entertaining stage, basketball court, bonus room & more! Backyard oasis with fountain pool, flagstone patios, marble gazebo, koi pond and covered porch with stained wood, raised ceiling, chandelier, and gas powered built-in heater and fireplace." "CAN ALSO BE PURCHASED PRIOR TO THE AUCTION- CONTACT LISTING AGENT FOR DETAILS. Located in the highly sought after The Chase community, this 6 bedroom, 7.5 bath home makes a bold yet refined statement. An entertainers paradise,the gourmet kitchen, great room and family room are perfect for intimate gatherings or grand parties. Main level grand master suite with balcony overlooking backyard oasis with in-ground pool, huge stone paver patio/extensive hardscape. Walkout Lower level boasts recreation room, home theatre, dance room studio, 2 full bathrooms, pool changing room and multiple large storage rooms. 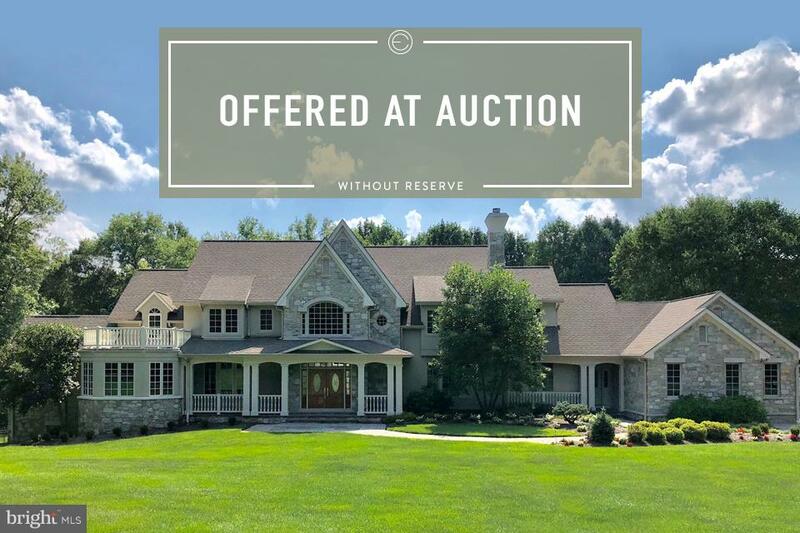 No Reserve Auction to be held on-site, Saturday, May 4th, 2019, at 11:00 AM. Starting, Saturday, April 13th, 2019, open house previews every Saturday & Sunday 1:00PM-4:00 PM, Private appointments available, Call for details"
"Location, Location, Location! Prime opportunity to purchase this 20+ acre parcel improved by 3 bedrooms, 2- and one-half bath brick rancher and several outbuildings. Enter from the covered porch into the foyer hallway that leads to the formal living room with fireplace and heatilator. Enter from the 2-car carport into kitchen with lots of cabinetry that separates the large dining room. Exit the dining room onto your private 12 x 16 deck that overlooks the remainder of your property. For your convenience the laundry area is also on the bedroom level. Enter the lower level improved by a large family room, fireplace with wood burning insert and half bath. Expandable unimproved area for storage, holds all utilities and has walk out to rear yard. Property includes most appliances and a 1-year First American home warranty program. Large block outbuilding has 3 bay (30 x 36) equipment shed and attached shop (30 x 36) with 12~ wide roll up garage door, electric service and wood stove. 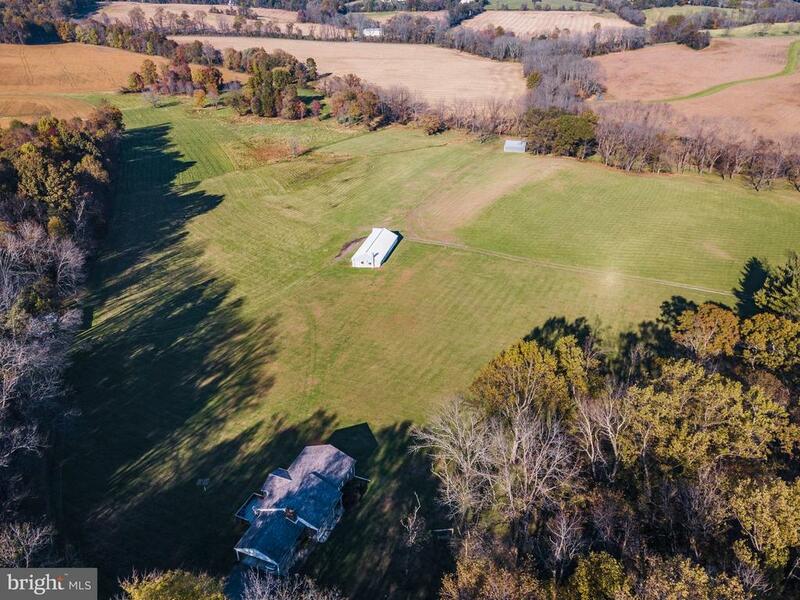 Property also offers a (36 x 43) pole barn with hayloft. Property has potential for a variety of uses including sub division into 3 parcels, further subject to Howard County regulations. Property offers privacy and majestic views bordered by a stream." "Location, Location, Location! Prime opportunity to purchase this 20+ acre parcel improved by 3 bedrooms, 2- and one-half bath brick rancher and several outbuildings. Enter from the covered porch into the foyer hallway that leads to the formal living room with fireplace and heatilator. Enter from the 2-car carport into kitchen with lots of cabinetry that separates the large dining room. Exit the dining room onto your private 12 x 16 deck that overlooks the remainder of your property. For your convenience the laundry area is also on the bedroom level. Enter the lower level improved by a large family room, fireplace with wood burning insert and half bath. Expandable unimproved area for storage, holds all utilities and has walk out to rear yard. Property includes most appliances and a 1-year First American home warranty program. Large block outbuilding has 3 bay (30 x 36) equipment shed and attached shop (30 x 36) with 12~ wide roll up garage door, electric service and wood stove. Property also offers a pole barn with hayloft. Property has potential for a variety of uses including sub division into 3 parcels, further subject to Howard County regulations. Property offers privacy and majestic views bordered by a stream." 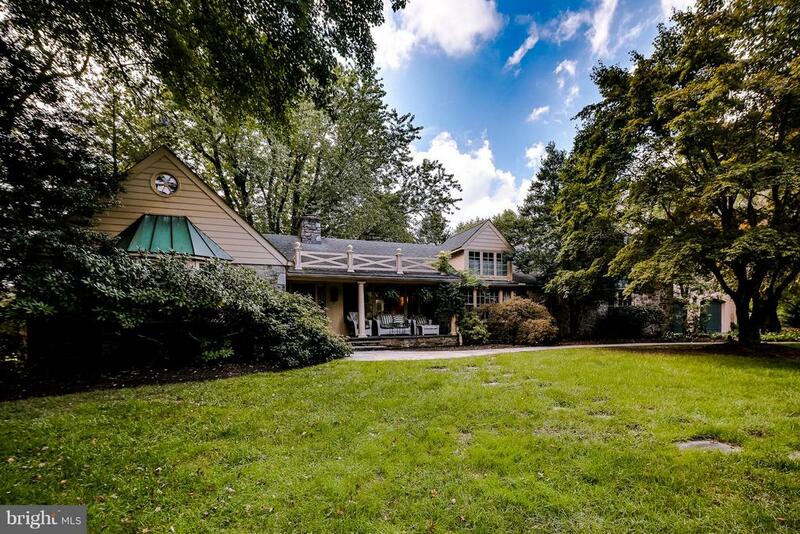 "This Stunning 7 BR, 6 Full, 3 Half BA Home on 4.8 Acres in The Chase Is A MUST-SEE! Enter the Double Doors Leading from Portico to the Gorgeous Marble Tiled Foyer w/ Grand, Curved Staircase. As You Make Your Way Through the Main Level, You Will Find Gleaming Hardwood Floors & Extensive Molding Throughout. The 2-Story Library Features Bay & Palladian Windows Letting in Tons of Natural Light, Picture Box Molding & a Walk-Up Spiral Staircase to the Balcony Above. The Formal Living Room with Cathedral Vaulted Ceiling, Bay & Palladian Windows and Stone Surround, Wood Burning FP Leads to the Formal Dining Room w/ Another Beautiful Bay Window and Picture Box Molding. Enter to the Huge Gourmet, Eat-In Kitchen w/ 2 Islands, 2 Cooktops, Double Wall Oven, SS Appliances and 2 Separate Sinks. From the Kitchen, Walks Out to the Private Deck Overlooking the Rear Yard w/ Extensive Hardscaping & Lush Landscaping Surround the Magnificent In-ground Pool. Relax in your Private Solarium off of the Kitchen, finished with 18~x18~ tile, 11 Skylights & Exposed Brick, Perfect for Your Morning Coffee. The Main Level Also Boasts a Large Mudroom w/ Front Load W/D & Extra Freezer Leading Out to the First of Two, 2-Car Garages. The Spacious 2-Story Family Room w/ Stone Surround, Wood Burning FP is in the Center of it All, Making it the Ultimate Home for Entertaining!! Make Your Way to the 2-Story Master Bedroom Suite w/ Stone Surround Wood, Burning Fireplace, Sitting Area, Dressing Area, Upper & Lower Level Walk-In Closets & Cozy Sunroom, the Perfect Spot for Your Morning Coffee in Ultimate Privacy. The Master Suite is complete with a Spa-Like Bathroom w/ Soaking Tub, Separate Shower & Dual Vanities. Cuddle Up with a Book in Your Reading Nook in the Master Suite Sitting Room. The Main Level is Finished off by an In-Law Suite off of the Kitchen w/ its Own Heating/AC & Full Updated Bathroom. The Upper Level Sitting Area Welcomes You to Five Additional, Spacious Bedrooms and Four Full, Beautifully R"
"LUXURY AMENITIES : ~Toll Brothers Henley Model ~Quiet Cul-de-Sac ~In-Ground Pool & Waterfalls ~ELEVATOR w/Service to 3 Floors ~Two Curved Stairs in Foyer ~Secondary Back Stair ~Study adjacent to Elevator ~Three Master Suites, Tray, Full Bath & Sitting Rm ~Private Master Deck/Balcony ~Gourmet Eat-in Kitchen ~Solarium w/ Fireplace ~Round Breakfast Room/ Sun Room~Strong Architectural Moldings, & Multi-Piece Crown ~Architectural Columns ~Spacious Open Plan Design ~Two Story Foyer & Great Room ~Screened Porch ~Walk-out LL w/ Full Day light. -Gas Line in Place for Fireplace in Lower Level -Plumbing Rough-in is ready to add wet bar or Second Kitchen. A rich textural mix welcomes family and friends into this Toll Brothers Henley model,perfected with every imaginable upgrade for indoor and outdoor living and entertaining.Low maintenance exterior finishes include brick on four sides with quoin corners, a brick entry walk, rectangle and square stone patios, cascading stairs, professional landscaping and composite decking with vinyl clad rail systems.Inside, a two story foyer and gracefully curved dual stairs announce arrival and the open plan radiates with adjacencies to living and dining formals, a sun-filled conservatory,study and a grand, two story family room. The main level is enhanced with an elevator servicing three levels, and a wood coffered ceiling and stone fireplace. upgrades at every turn include the Chef~s gourmet kitchen outfitted with custom cabinetry, an entertainer~s island, planning station, breakfast area, and a large walk-in pantry with organizer system and full daylight window. Meal prep and entertaining are a pleasure for novice and chef alike with features that include professional stainless appliances,granite, and a designer back splash. Opposite the eat-in Kitchen is a generous Morning Room in the round with an atrium door to the dining screened porch. Rear facing rooms enjoy views overlooking a glistenin"
"LUXURY LIVING CLOSE TO EVERYTHING! 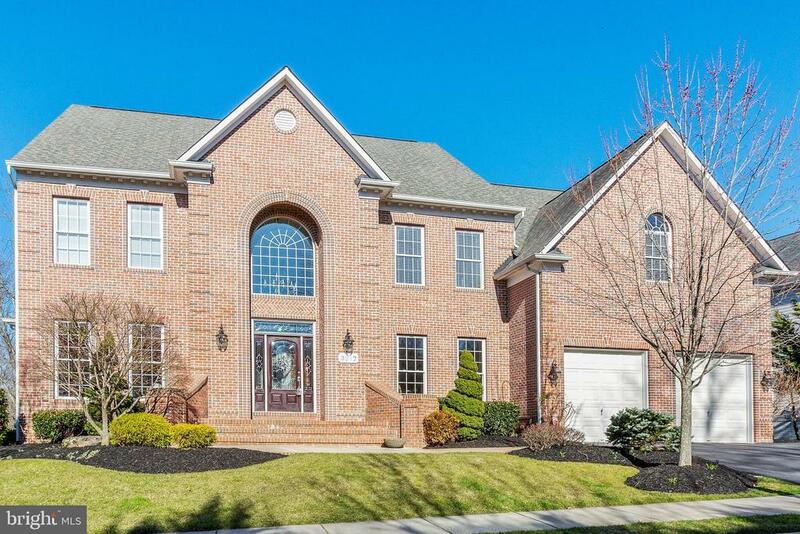 Enjoy a Dramatic 2-Story Foyer , curved stair, SPACIOUS formal LR & DR, FR w/FP & coffered ceil, Conservatory, Study & ELEVATOR. 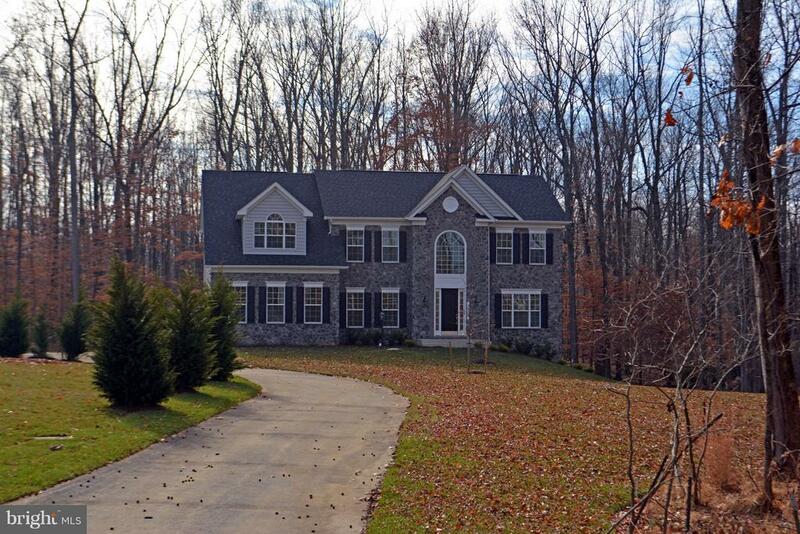 Finished FULL-DAYLIGHT LOWER offers REC Rm, Exercise, STORAGE & walk-out. Paver patio, garden walls, deck &Gazebo back to trees. LUX Master &BATH plus ALL EN-SUITE BRs up! Come home to indoor & outdoor comfort, convenience & LUXURY!" "The lovely Temora is an Italianate manor on the national historic registry, built in 1857, with 5500 sq feet above grade and 2800 below grade, on 1.62 private acres with detached 800 sq ft 2 bedroom, 1 bath carriage house (cottage) with rental license.Conveniently located close to major highways (i95 and rt29) and near stores/amenities; located in a great school district, assigned schools are Centennial high school, Dunloggin middle school, Northfield elementary school. Walking distance to elementary and middle schools." "Perfection! 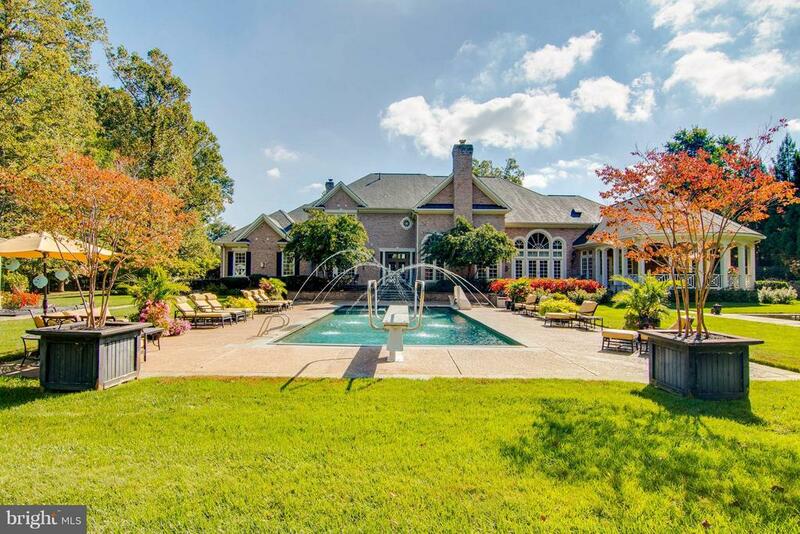 Spectacular home nestled in the woods with a luxurious pool and hardscape. Gorgeous entertaining spaces inside and out. From the coffered ceiling, whole house smart system, media room with built-in screen and projector, wet bar, master suite with sitting area, balcony, and two walk-in closets, upper level laundry, 4 additional en suite bedrooms, potential sixth bedroom, stone floor to ceiling fireplace, custom plantation shutters, to the exotic wood floors, this elegant space boasts every custom upgrade you could ask for. 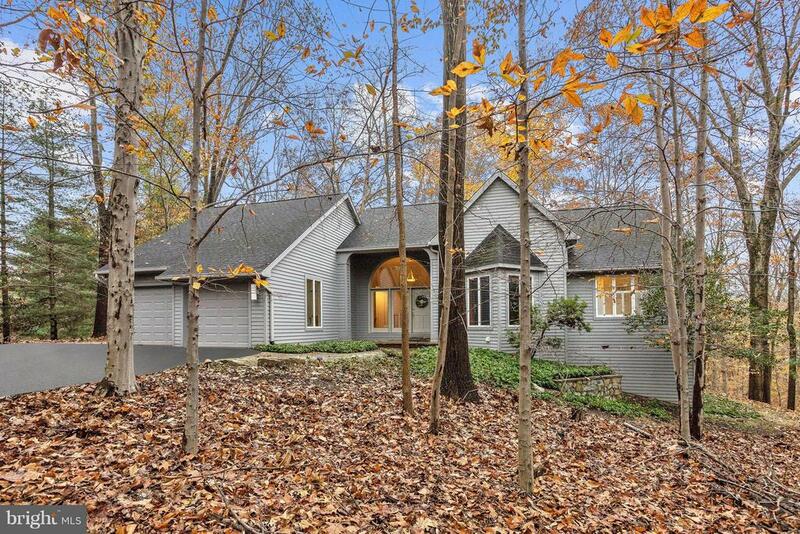 All of this on a private, expertly landscaped lot backing to trees, in the heart of Ellicott City. 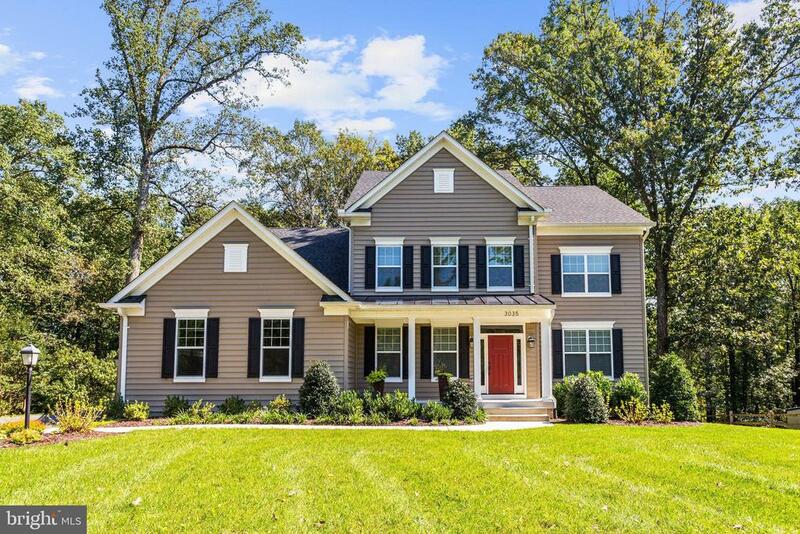 Rather than being isolated in the western part of the county, this home gives you high end luxury close to shopping, services, and commuter routes." 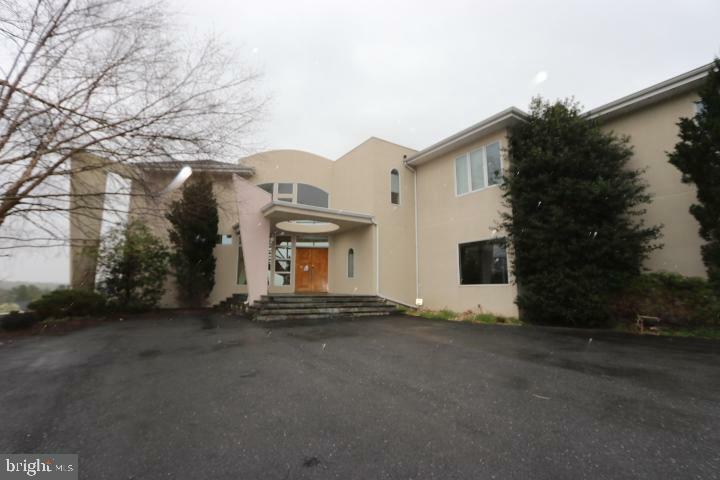 "Luxurious single family home, with many up-grades and high end quality construction throughout. Each of the 4 levels are completely finished and upgraded with top of the line finishes. You are greeted by the upgraded brick exterior, a large 8~ wide wrap around farm porch and beautiful landscaping. Indoors, no detail was left unfinished from the shinning hardwood floors to the custom-built bookcases. Schalge hardware in the interior adds to the elegance of this home. Kitchen has all stainless-steel appliances, large kitchen island with cooktop, and pass through window to the adjacent sunroom that features a wet bar, mini fridge, additional storage and extra seating. Large master bedroom with sitting room and access to private balcony from which you can look down on the multi-level sundeck or look out to see the views of 3 ponds and the golf course (adjacent to Hole 14). Located in Turf Valley Vistas, community has tons to offer, including top notch schools. New Hot Water Heater & Upstairs AC (2018)." 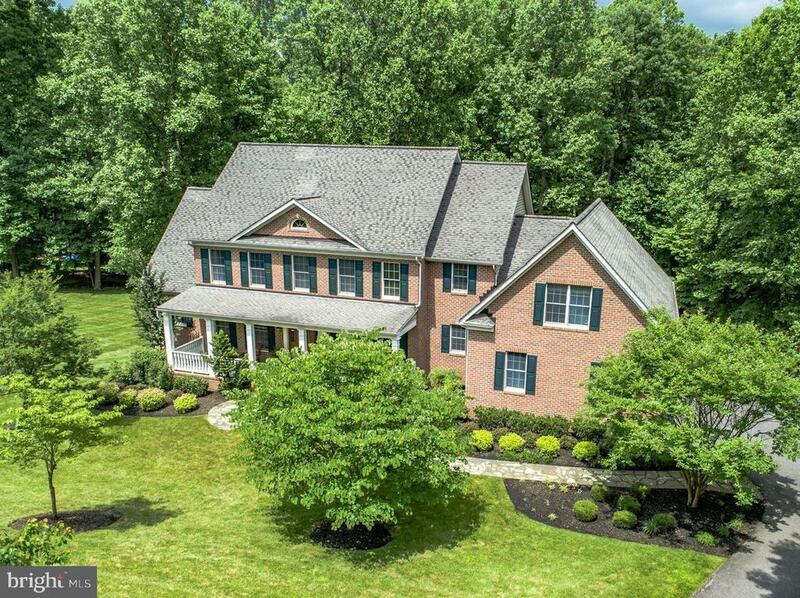 "Stunning Toll Brothers Colonial nestled on 1 acre of landscaped grounds and located in the coveted Patuxent Chase community of Ellicott City. Stately two story brick entrance showcasing quoin corners and brushed bronze detail. Stunning dual curved staircase and marble floors. Formal living and dining rooms boast crown molding, chair railing, box wainscoting and architectural columns. Sunbathed conservatory with panoramic windows. Two story family room adorned with a gas fireplace and floor to ceiling windows. Gourmet kitchen features an oversized island, breakfast bar, granite cabinets, tile backsplash, 42 inch cabinets, stainless steel appliances and pendant lighting. Sunbathed Florida room offers serene views of mature tree lined grounds. A kitchenette, study, laundry room and full bath complete the main level living area. Impressive master suite highlights a tray ceiling, see through fireplace, sitting room and dual walk in closets. Luxury master bath includes a dual vanity, an oversized glass enclosed shower and a Jacuzzi with views from the Palladian windows. Four bedrooms with en suite baths conclude the upper level sleeping quarters. Customize the opulent lower level, complete with bath rough in, to fit your exact needs. Three car garage." "Better Than New Construction. Exceptionally Well Maintained Home with Designer Upgrades Throughout has 5 Bedrooms 4.5 Baths with an Attached 3 Car Side Entry Garage. Enter Through the Lovely Wood & Glass Double Doors to a Stunning Two Story Foyer with Marble Floors and Curved Staircase that Leads to the Main Floor Living Space with Hardwood Throughout. A Bright Formal Dining Room with Butler's Pantry and Beautiful Formal Living Room Sit off the Foyer. Two Story Great Room with Stone Gas Fireplace and Custom Built-ins. A Dream Kitchen with Large Island, Gas Cooking, Walk In Pantry with Custom Built-ins, Granite Counters and SS Appliances. Plenty of Room for a Large Table and a Sun Filled Room to take in the Exquisite Private Wooded View While Having Your Morning Coffee. Large Deck off the Sun Room is Perfect for Outdoor Entertaining. The Upper Level Master Suite has Hardwood Floors, a Tray Ceiling, Sitting Room with Gas Fireplace and a Master Bathroom with His & Hers Vanities, Soaking Tub and Walk In Shower. Extra Large Walk In Closet with Custom Built-ins. Three Additional Spacious Bedrooms with 2 Full Baths and a Separate Laundry Room on the Upper Level. The Lower Level Finished Walk Out Basement has an Additional Bedroom, Full Bathroom, a Dedicated Exercise Room and a Game Room with Plenty of Entertaining Space at the Wet Bar. This Fantastic Home has all the Bells and Whistles and Will Not Disappoint. Come see this Showpiece Home with 8,006 Sq Ft of Finished Space. Monthly Maintenance Fee of $500 per month. Call for a Private Showing!" "Auction dates 4/21-4/23/2019 Auction Sale. 5% auction premium. Offers may take up to 7 days for seller response. Bank of America employees, spouse or domestic partner, household members, business partners and insiders are prohibited from purchasing.Exquisitely sited with sumptuous curb appeal, this premier luxury Contemporary is an architectural masterpiece. Over 10,000 SQ FT of light-infused artful spaces include a dramatic floating spiral staircase in the Foyer, an etched glass DR wall, sweeping curved window walls & custom cabinetry, all overlooking the show stopper in-ground pool area. 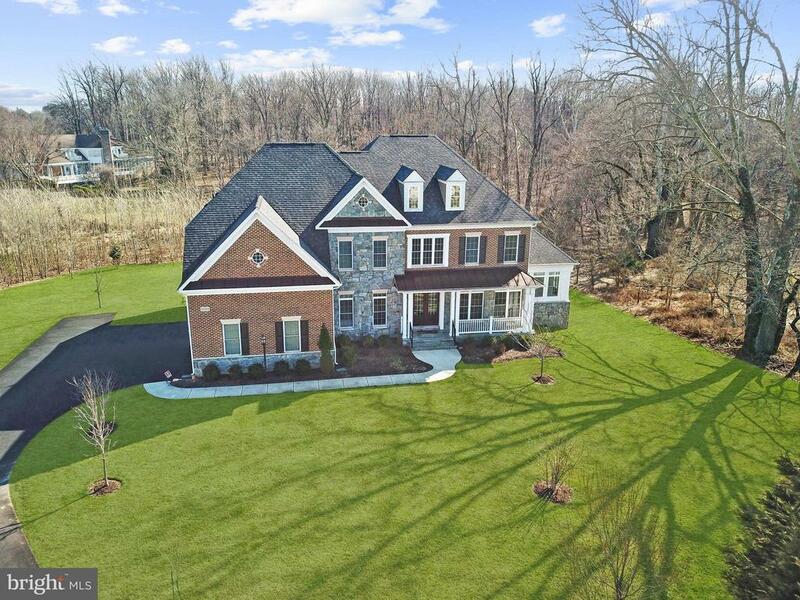 Estate ambiance is pared with contemporary living!From MD-108, left onto Sheppard Ln; take 1st exit at roundabout onto Homewood Rd; Left onto Farside Rd; Left onto Cedarline Ct"
"Welcome to 11033 Hunters View Drive; this home will impress the luxury buyer. Boasting more than 7,000 finished square feet and a private, tree-lined lot, this home offers a wonderful setting. Enjoy the dramatic two story foyer, curved staircase, and spacious living areas. The first thing to catch your eye is the gorgeous hand scraped hardwood floors throughout the main level. The stunning kitchen will delight any cook with an expansive center island, granite counters, decorative tiled backsplash, stainless steel professional grade appliances, recessed lighting, butler~s pantry with wine refrigerator, and a casual dining area. Relax with a cup of Java in the sunroom which features a tray ceiling and deck access. Entertain family and friends in the formal living and dining rooms which are adorned with decorative columns, custom moldings, and an abundance of natural light. A luxurious solarium with tray ceiling is featured off the living and dining rooms. The welcoming two story family room highlights a soaring ceiling and a gas burning stone profile fireplace that is sure to impress! 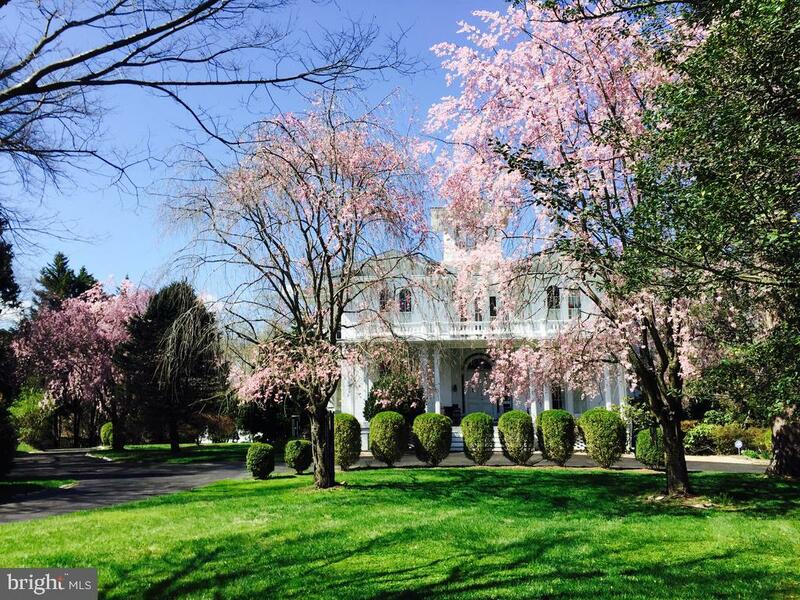 A study with French doors and a powder room complete the main level of this remarkable home. Custom plantation shutters and quality upgrades are featured throughout this masterfully designed home! Ascend upstairs into the gracious master suite adorned with a sitting room, tray ceiling, dual walk-in closets, and plush carpeting. Relax your cares away in the remarkable master bath complemented with an oversized walk-in shower with pebble stone flooring and ceramic tile, dual vanities, and a soaking tub. Three generously sized bedrooms, a dual-entry bath, en suite bath, and a laundry room conclude the upper level sleeping quarters. Travel downstairs to the lower level to find an exceptional recreation room, fifth bedroom, full bath, media room, additional storage, and walkout access. Enjoy watching the sun rise and set from the comfort of the expansive rear deck, overlooking manicured g"
"TO BE BUILT. Caruso Homes presents the Estate Series Kingsport boasting an open floor plan decked out with optional upgrades including granite countertops in gourmet kitchen with stainless steel appliances , 9ft ceilings on all 3 levels, upgraded trim package, and stone front elevation. Pictures shown are from model - house to be built. Call listing agent Greg Phillips to set up your site tour of this lot and then Caruso Rep, Barbara Evans, 301-832-2018 to build your dream house!" "~For all the years I couldn~t wait to leave Ellicott City as a young adult, says Matthew Wehland of his memories growing up in the historic district, ~It~s funny how I now can~t imagine not living here,~ he finishes.~ Like most kids who move away from home for a time, I think I realized after a pretty short time away, that expression ~the comforts of home~ for me had as much to do with the house as it did with the place, so when mom and dad first mentioned the idea of downsizing, I knew immediately I was going to be on my way back home.~ ~When Matthew first mentioned the idea of buying his mom and dad~s house and moving back to Ellicott City, I will admit I was a little unsure about leaving my home in Chevy Chase,~ says Matthew~s husband Joe Lynch, ~but when we next drove up scenic College Avenue and pulled into the circle drive, I saw the old house in an entirely new way and got really excited at the prospect of making the historic farmhouse our own.~ Nearly 15 years later, the family home is now one of those eye-catching colonials along a bend in the road, often with a porch-full of family and friends and with windows full of laughter and gathering. ~We have both loved showing off all of the work accomplished and entertaining in this house,~ says Matthew boasting of how the open floor plan has easily accommodated all the dinner parties, holiday gatherings and specialty events.~ ~And everyone looks forward to our annual porch, deck and garden party~ says Joe describing many people on the wrap around front porch, expanded rear deck and huge rolling lawn.~ ~Now we~re right where mom and dad were all those years ago thinking about down-sizing~ laughs Matthew. We started looking around several months ago but have just not been moved to go to any other place. ~At least not until recently~ says Joe jumping in. 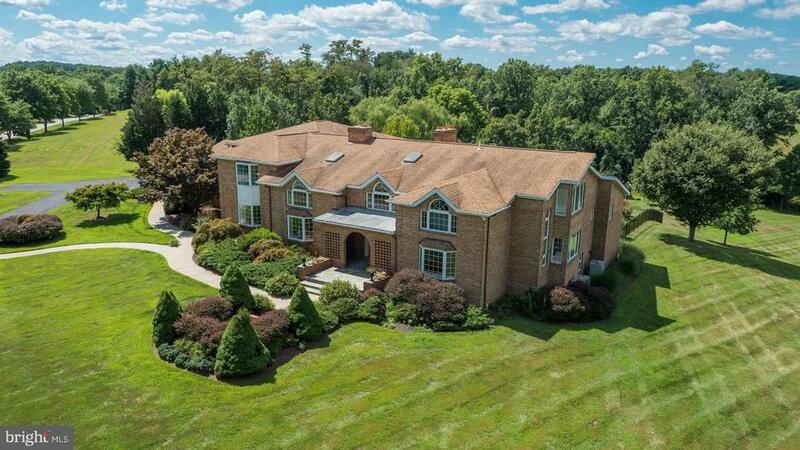 After looking all around Howard County and Catonsville and even further down toward D.C. it looks like the pair has found the perfect old hou"
"This enormous stately colonial boasts 7 bedrooms, 6.5 bathrooms, and is packed with amazing features. To start, this home has incredible curb appeal with its elaborate brick front, brick stairs, and professional landscaping. As you enter the house, you are greeted with a soaring 2-story foyer and brand new, gleaming hardwood flooring throughout the entire main level of the home. This huge open concept floor plan is perfect for entertaining and easy living. Stunning kitchen with quartz countertops, recessed lighting, island, and stainless steel appliances including convection wall oven. Kitchen is open to the living room which features a gas fireplace. Huge main level room for bedroom or office with full bath. The upper level boasts an enormous, bright, open master suite with gas fireplace, sitting area, tray ceiling and two walk-in closets. Beautiful master bath with huge shower with steamer, garden tub, two separate sinks and vanities, and a convenient laundry shoot. Also on the upper level, every bedroom has its own bath or access to a connected bathroom. And, on top of that, this home has an extraordinary third level bedroom with full bath and walk-in closet. Lower level features huge storage area, beautiful wet bar area, 9ft theater screen with projector, and a pool table! These convey. Lower level also has a full bathroom and a bedroom currently set up with full length mirrors for your home gym. Home has a multi-tiered trek deck with luxurious hot tub and retractable awning. House freshly painted from top to bottom. Home has in-ground irrigation system, built-in speakers. All bedrooms have ceiling fans. To top it all off, house has a gas powered generator for that unexpected power outage and a 1 Year HMS Home Warranty. Come tour this beautiful property today!" 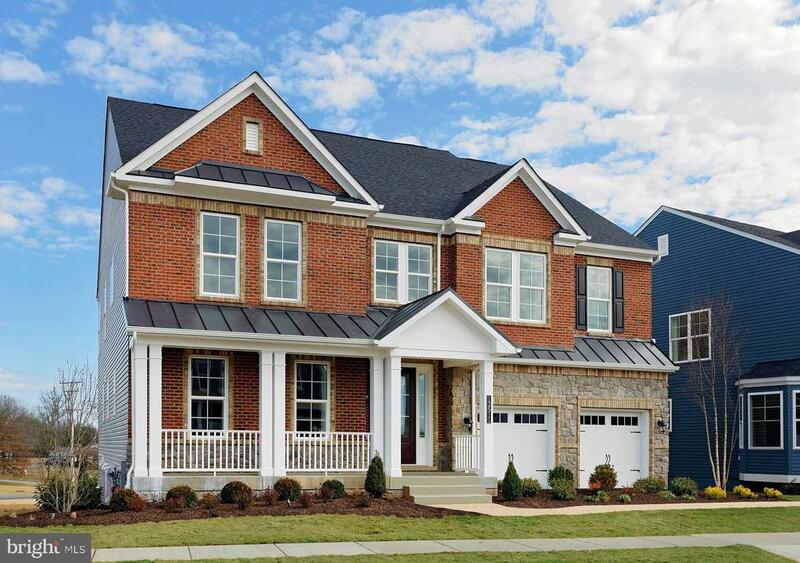 "Own the Model Home at The Estates at Patapsco Park. 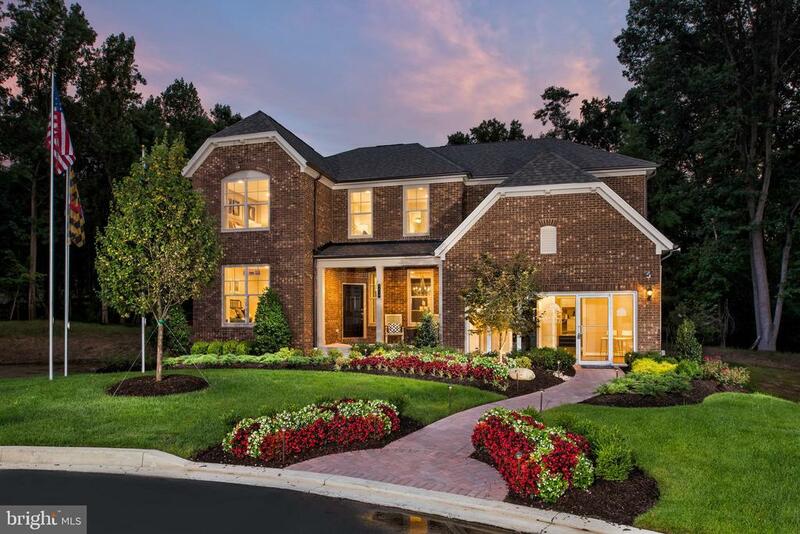 Innovative design by Pulte Homes with Custom features throughout. Cul-de-sac location with views of conservation area. Home features include 2-story Gathering room, Chefs Kitchen, Modern Fireplace with built-in shelving, Custom paint and Specialty lighting and Large Deck with Pavered Patio. Finished walk-up basement, with custom Media Room, Wet Bar and tons of space for entertaining. Well appointed with Wood flooring, Quartz counter tops and upgraded trim! 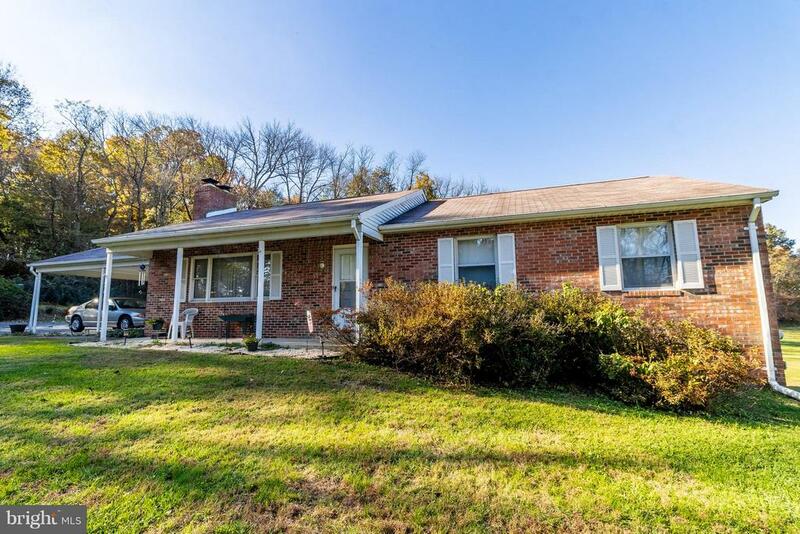 Come enjoy this Gorgeous Home in a Private Friendly Neighborhood, Surrounded by State Park, while still being only minutes to rt 70, rt 29, shopping and Historic Downtown Ellicott City." "One of a kind. Secluded stone home nestled on nearly 1 acre surrounded by tranquil Patapsaco state park. Private but convenient to Baltimore/DC. Gourmet kitchen with granite counters Aga and Bertazzoni stoves, FR with wood beams and over sized stone fireplace, DR & LR with custom built-ins, cabana, solarium w/ wet bar, 4 car garage, heated pool.Loads of architectural features. A must see!" "Entertainers dream! This custom brick front Selfridge home with almost 6,500 square feet (tax record incorrect) truly has it all! Gorgeous walnut floors on main and upper level, gourmet kitchen w/ professional SS appliances, custom built-ins & moldings, great room w/ wall of windows overlooking spectacular/private backyard & so much more! Wander the trails through your wooded paradise to the Middle Patuxent River! Must see!" "Now selling the Enclave at Westmount. Quick Move-Ins! With access to top-ranked Marriott's Ridge HS. -Federalsburg plan loaded with many upgrades-Oversized 2 Story family room with large windows allowing great opportunity for sunlight -Modern white cabinetry paired with stunning gourmet stainless steel appliance package -Upgraded designer hardwoods throughout the first floor-Dining room encased with 5-1-4~~ baseboard molding and 31/4~ adams casing.-First floor bedroom with Full Bath -Spacious Owner~s Suite made grander with a tray ceiling and sitting room-Double sink vanities, large shower and soaking tub -Finished recreation room with bedroom and full bath-Summer 2019 delivery. Photos Representative." "A perfect escape from the everyday, this exceptional custom home is sited and designed to blend privacy with the finest luxury amenities. Commanding architectural details distinctively designed for easy living abound and compliment the generous open concept design, incorporating lofty windows that bathe each room with natural sunlight at every turn and gleaming hardwood floors. The grand two story foyer invites you inside this immaculate estate. One of a kind features and amenities include a gourmet eat-in kitchen outfitted with sleek appliances, elegant display cabinetry, a double wall oven, a center island, and a casual dining space. Enjoy fare in the formal dining room featuring stately crown molding, chair railing, box wainscoting, custom plantation shutters, and a fireplace. The living room is sure to impress with its astounding stone profile fireplace, and grand sundrenched windows. Elegant French doors invite you into a sitting room adjacent to the sunroom boasting ceramic tile floors and easy access to the outdoor oasis. Another set of French doors welcome you into the study where you will find another brick profile fireplace and built-in shelving. Two powders rooms and a welcome center complete the main level. Both sumptuous and elegant design elements with sheer comfort await you in the upper-level master suite entailing dual walk-in closets and, soaring vaulted ceilings, and a brick profile fireplace. Wash your cares away in the luxurious spa-inspired bath with dual vanities, a jetted soaking tub, and a separate shower. A sizeable landing with a brick profile fireplace, three generously sized bedrooms, a dual entry full bath, another full bath, and a separate laundry room conclude the upper-level. Travel upstairs to the top floor to discover another bedroom presenting vaulted ceilings and built-in shelving. The amazing outdoor oasis offers multiple entertainment spaces including, tranquil impeccably manicured grounds, an in-ground pool, a brick patio, a l"
"Phenomenal custom home nestled on a sprawling one acre private wooded lot boasting over $500,000 of quality renovations and superior upgrades. Sparing no expense! Extraordinary open floor plan, soaring ceilings, panoramic scenic view, intricate molding, Palladian windows, triple pane Pella siding doors, double pane Andersen casement windows and Hickory hardwood flooring in kitchen, hallway and on the lower level. Kitchen renovation featuring Subzero Wolf 42 inch French door food preservation panel, Monogram 36 inch professional duel fuel 6 sealed burners, Monogram Advantium speed cook oven, Monogram dishwasher third rack panel, oversized elegant walnut wood island countertop ~ round over edge flat grain Durata finished by Grothouse, Blanco sink, Custom Dynasty Lynville designer overlay, maple pearl cognac cabinetry, quartz Cambria Buckingham 2CM Ogee Edge counters, docking drawer, AC and USB charging outlet in pass through cabinet, under cabinet lighting, electrical outlets under counters, Insinkerator Pro series garbage disposal, Best power pack system with exterior mounted blower. Formal living and dining room adorned with a gas burning fireplace accented with stacked stone. Main level library for your reading leisure. Stunning master suite adorned with two separate baths one bath features heated floors! California closets, walk in closet and a private deck. The lower level highlights a Gramophone Home Network System, high speed router, Gigabit modem, wireless controller, high speed wireless access point, 24 port network switch Cat6 patch cables, audio video interconnects, whole house A/V rack 4K Apple TV, Sonos connect Audio. Billiards room with coffered ceiling, stone wall, gas burning fireplace, Shiplap, 65 inch 4K LED television, tilt wall mount, in ceiling speakers, home gym, control system remote, 3 graciously sized bedrooms, full bath, laundry room and walkout access. Become one with nature and enjoy the sun rise and set from the comfort of the deck or pati"
"Phenomenal custom built home backs to Park offering a beautiful scenic setting. Open floor plan, gorgeous hardwood floors throughout the main level, crown molding, formal living and dining rooms, decorative lighting and 9ft ceiling on all 3 levels. Five full bathrooms with upgraded cabinetry and granite vanities. Masterfully designed Chefs kitchen featuring granite counters, 42~ cabinetry, 5 burner gas cooktop, center island, butler~s pantry and stainless steel appliances. Main level bedroom with a dual entry bath. Sprawling master suite with a separate sitting room and sunbathed windows and dual walk-in closets. Luxury bath adorned with separate vanities, soaking tub and a glass enclosed shower. Convenient bedroom level laundry. Graciously sized bedrooms with en suite baths. Fully finished lower level provides a recreation room, media room, exercise room or optional bedrooms; a full bath, storage room and walkout level access. Expansive rear deck perfect for entertaining! This stunning home has everything you have been searching for and more."